We have smart IT systems, state-of-the-art trucks, great facilities and strong processes, but in the end logistics will always come down to the quality of the people that work within. While Peter still takes an active interest in the company in his role as Chairman and sole owner, he has established a business that seeks to source and retain some of the best and most committed people in the industry. Our Executive Management team has over 60 years combined of experience in local, regional and international transport as well as warehousing and 3PL solutions. Cochrane's also has an Adelaide based Customer Service team that understands the local market and geography and can interact directly with operations. Operating 7 days a week and 364 days a year, our business relies upon highly competent staff at all hours of the day who are driven to ensure we meet and exceed our customers expectations. Every day, Cochrane's calls upon the support and dedication of its selected agents who provide delivery solutions in regional towns. These local businesses provide employment and investment back into the community and we recognise that it is our priority to ensure they are sustainable and able to grow with us for the future. The "last mile" in express logistics is critical, and we are proud to have the best in the business making that trip for us. It is our aim to provide a no harm environment under our control. With over 100 drivers in our fleet, the quality of the person behind the wheel is a constant focus. All country drivers undertake basic fatigue training which not only ensures they have the proper training and nationally recognised accrediation for regional requirements, but also helps them understand the value of rest, diet and breaks in their occupation. Our modern fleet is equipped with in-cab tools such as hands free phones and GPS tracking, and its roadworthiness and safety is supported by our in-house team of fully qualified diesel mechanics, constant interaction with the original equipment manufacturers, and 11 on-site tyre inspections each and every week by our supplier. All staff may be subject to random drug and alcohol testing during the year, and those that let themselves and others down are given support in the first instance. Further, we support staff with training in Dangerous Goods carriage and regulations as well as load restraint and vehicle weight requirements. Our Safety Committee is active and committed to working with management to create and maintain a safe working environment on site and in the field. 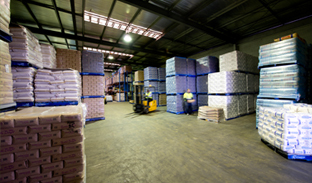 Repco has partnered for over 7 years with Cochrane's who provide time critical carton services and palletised freight across our regional South Australian Store network. 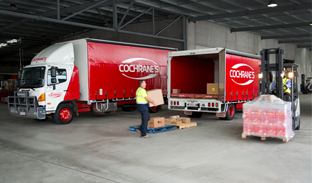 Cochrane's provide Repco with a reliable, operationally excellent service supported by strong account management which ensures that Repco is able to maintain exceedingly high service levels to our customers in a very competitive industry. 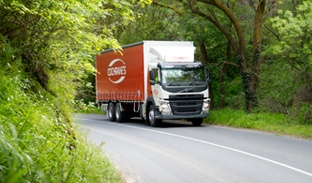 Cochrane's network and service focus means that we are assured our freight is in good hands and our service commitments are met.